Let’s talk about flatforms. Yes, seriously. We know they can be a real crowd divider; some of you love them and some of you, well you wouldn’t be seen dead in them. It’s time to give them another chance. When Chanel sends something down the runway, you know it deserves attention. The chunky, seemingly sensible (and sometimes plain nerdy) shoe is back for summer and is basically all you need to see you through the season. They’re stylish, comfortable and give you a height boost without the pain (should you need one). Here are a few of our picks to get you started. 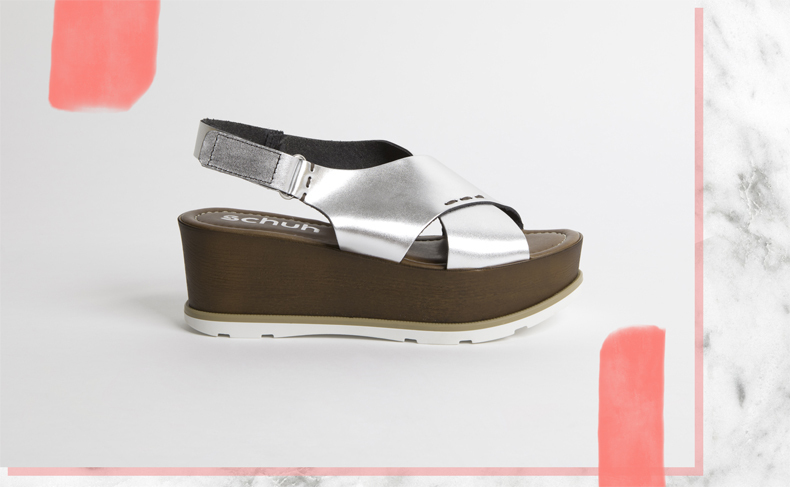 The crossover sandal is equally as much of a big deal as the flatform this season, so it’s a result that the Solstice in silver leather (pictured above) combines the two. Chunky straps, a velcro slingback and a white tread add nice little details. 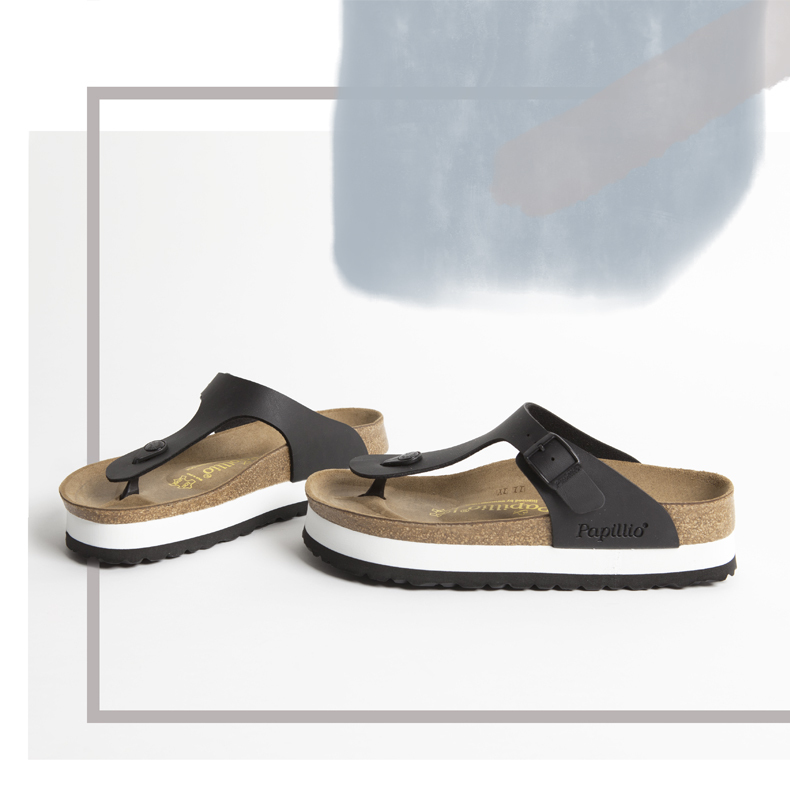 The schuh Helsinki slide combines the flatform trend with another key look – the mule. Scandi chic always looks good. You can’t go wrong with tan leather this summer, so this relaxed mule style is perfect for everyday wear. Birkenstock have taken their classic thong style to new levels with the Gizeh in black leather. A chunky flatform you can walk in for days. Romantic ghillie lacing is still a favourite on the fashion circuit, and the Missguided Flatform Up nails the trend, making it the perfect finishing touch to any summer look. If you do try the flatform trend, remember one thing; avoid wearing an overly long skirt or trousers that skim the pavement. You can wear them with a maxi but showing a little flash of the shoe now and again is a good idea. How to be the height of fashion this summer: shop our full range of flatforms.